Art of Green Living | Creating A Sustainable Future Through Awareness, Education and Action! Mama Let’s Go Green !! The best part about most small potted plants is that they can fit almost anywhere in your home. You can even get creative! Think about adding some cute plants in unexpected places like near your bathroom window, in a hanging planter or even on your wall with a space-saving vertical wall garden! 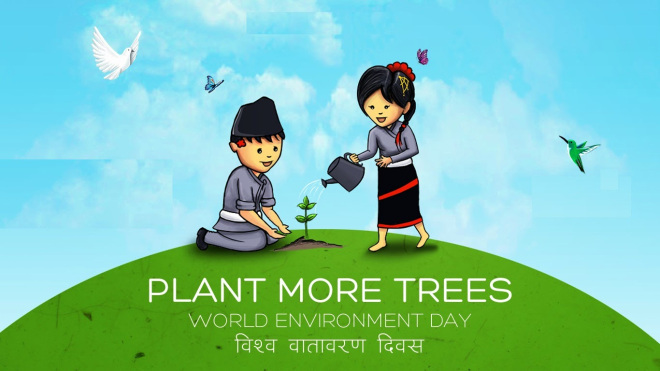 Happy Environment Day 2015 World..!! World Environment Day is just around the corner. While different organisations, educational institutions and community groups are undertaking various activities to mark this day, why don’t we take this as an opportunity to reflect upon our own lifestyles and see the impact of our actions to the environment as well as our well-being. Our actions on climate change will shape the future for our children. It is important to discuss and educate our students about climate change, and how to look after our planet! As Earth Hour comes around again for another year, it provides a great opportunity to spend some time discussing issues of sustainability and why Earth Hour is so important. Earth Hour is a worldwide movement for the planet organised by the World Wide Fund for Nature (WWF). 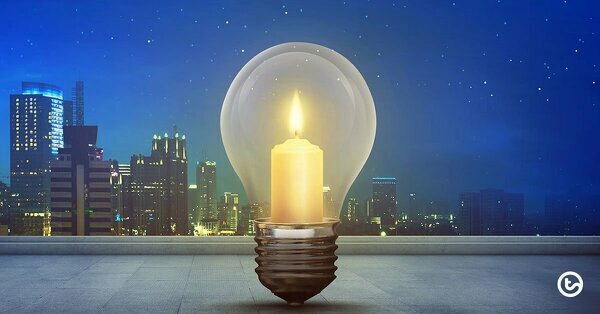 The event is held annually to encourage individuals, communities, households and businesses to turn off their non-essential lights for one hour, from 8:30 to 9:30 pm. Although Earth Hour is not during school time – it is still a great opportunity to talk about why it is needed and to encourage your students to go home with this important message! To help you engage your students in worthwhile conversations, we’ve collated some excellent resources and activities for Earth Hour 2018. Talk with your students about the things they can do to help save the planet and then talk about Earth Hour. 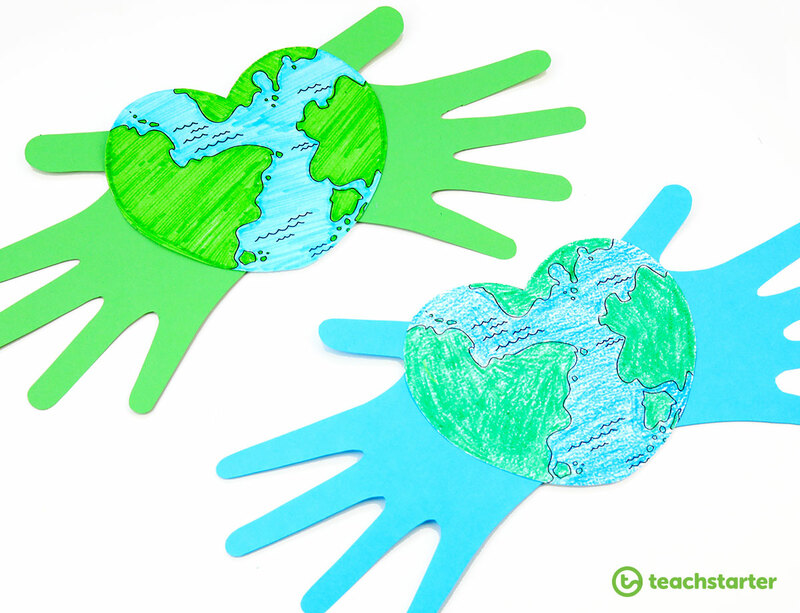 Create a display in your classroom using the heart from the Earth Day template. Students colour in the heart-shaped Earth and cut it out. They then trace their hands on coloured paper and stick each hand on either side of the heart. Such a cute way to make it look like the whole world is in their hands! 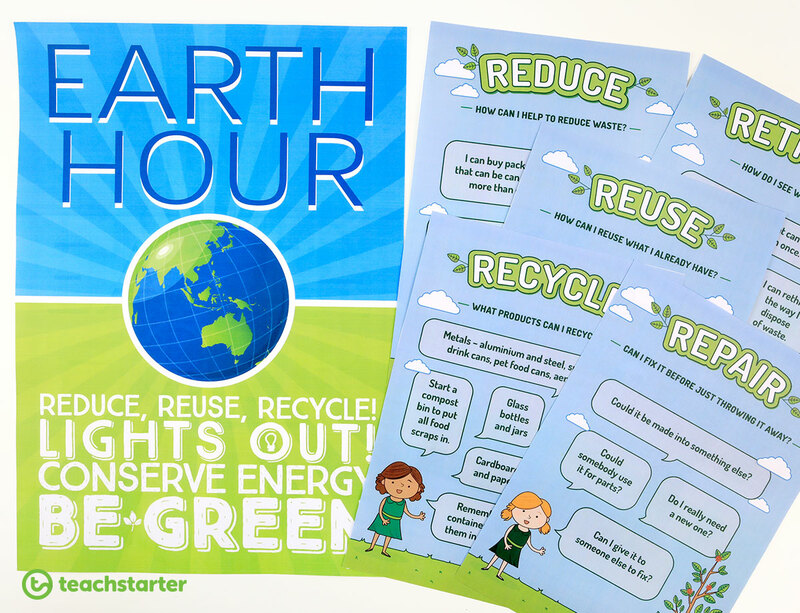 Encourage your students to write what their pledge to the Earth will be and stick these on your Earth Hour classroom display. Use our printable sustainability education posters to display around your classroom. Although Earth Hour is primarily to focus on using less electricity, it’s a fantastic time to educate and hold discussions with your students about the importance of a variety good sustainability practises. Use these gorgeous templates to consolidate your students’ knowledge of how they can help the environment. 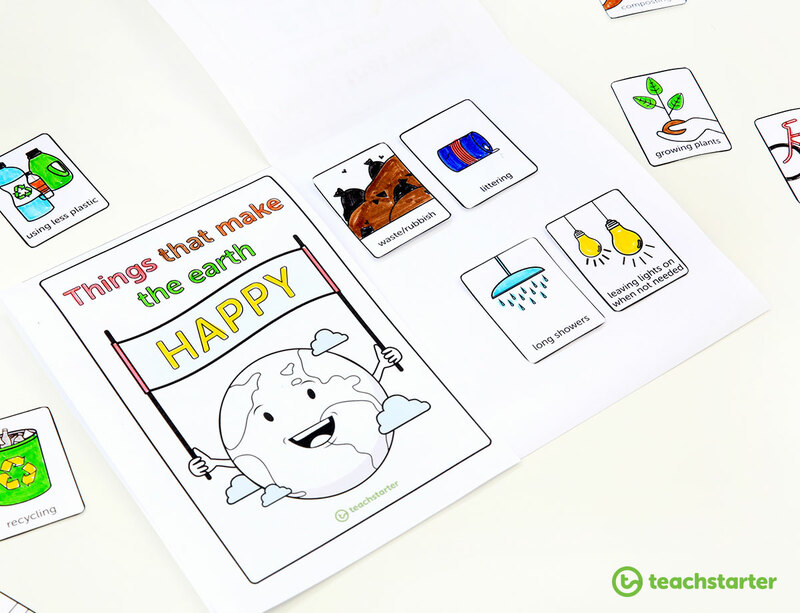 This Environmental Awareness Flip Book helps your students understand what is good and bad for the environment. 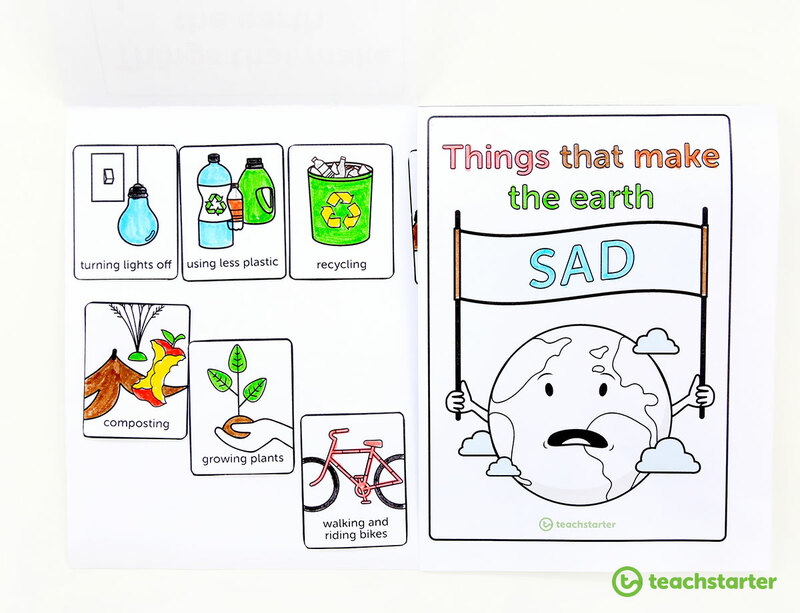 Students will love creating this gorgeous flip book and sorting images of everyday things into what will make the earth happy and what will make the earth sad. They can then colour the images in their new flip book. 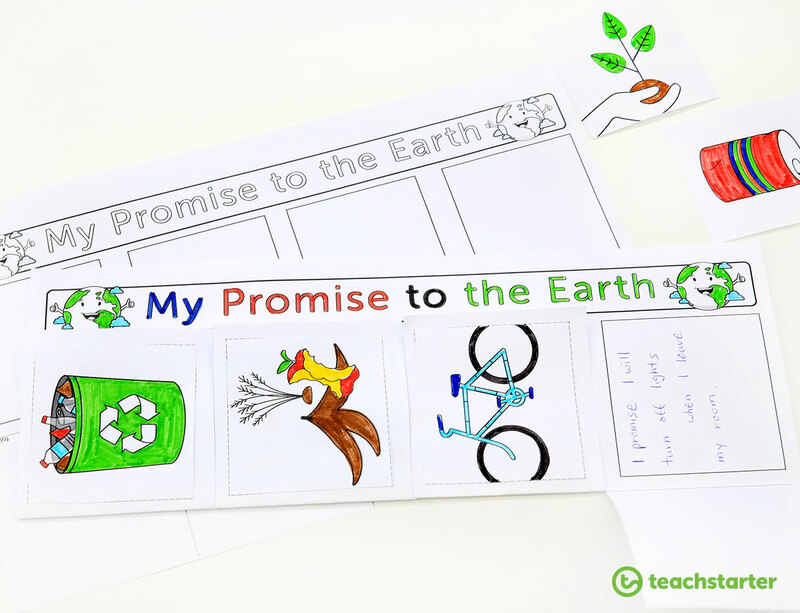 In this cute activity, students make a promise to the earth by coming up with four different pledges of what they are going to do to save their environment. This a great activity to discuss different habits that they can change that will help save the planet. Download the My Promise to the Earth Student Template. Trim the extra section off the left-hand side of the template where it states ‘cut’. Fold the template along the horizontal fold line. Cut along the three small vertical dotted lines to create four different flaps. Students pick four pictures that are linked to their own personal promises and stick each picture on the front of each flip section. Students write what they promise to do under each of the flaps. Students can then decorate and stick in their workbooks. Planning on going to university this September? You might be thinking that staying sustainable while studying is impossible. However, this is not the case… here are 10 easy ways you can keep green throughout your everyday life at uni! 1) Get yourself a reusable bag. Since the introduction of the 5p charge plastic bag purchases have dropped by more than 85%. So why waste 5p on a flimsy carrier bag that might just about get your shopping home in one piece when you could buy a one off reusable bag. Student properties generate a lot of waste and it can be very difficult to remind everyone in your house what can and what can’t be recycled. But if you do your bit that’s better than nothing. 3) Buy a reusable coffee mug for those tired mornings. Why should you be doing more gardening? What will the U.S. do now with the plastic China won’t take? If you were at Dolores Park in San Francisco last weekend enjoying a bottle of water, chances are the bottle ended up at Pier 96 not long after you tossed it into a recycling bin. That’s where much of the city’s discarded recycling waste piles up—in giant bales of neatly bound cardboard and plastic scrap, sitting in an empty parking lot just off the pier. The cardboard bales will be shipped off to China in a shipping container for recycling. The plastic water bottles and other scrap will continue to sit there, however, waiting for another country willing to take them. Before the announcement, China allowed 5 percent of impurities in imported bales of plastic. The new, 0.5-percent threshold has proven impossible for U.S. facilities in the short-term, leaving recycling operators scrambling for alternatives. “We worked hard to make sure our bales contain less than 5 percent of impurities, and sometimes lower than 4,” said Robert Reed, who is part of the team that runs Recology San Francisco near Pier 96. The ban went into effect in 2018, with a transitional period of five months for its scrap trade partners. WTO members that rely heavily on China’s role in the international waste trade protested in meetings following the announcement; the United States, the E.U., Japan, Australia, and Canada all asked for a longer transitional period of up to five years. China is already carrying out the ban anyway, which has caused a flurry of panic through the international waste trade. “China practically gave us no time to adjust, no time to transition,” said Adina Adler, a senior official at the Institute of Scrap Recycling Industries. It takes at least two months for a scrap shipment to go from the United States to China; the last bales that the U.S. was able to get out of the country without facing rejection at China’s ports were shipped from September to October, making the ban effective three months after the announcement. The lack of instructions from China also didn’t help. There is scrap piling up in storage facilities on the West Coast, waiting to be redirected to domestic or foreign facilities, or waiting indefinitely for the regulations to relax. This in turn is taking a toll on the facilities’ budgets; some have informed local residents that they are no longer taking in plastic items and that plastic has been going to landfill instead, according to Adler. In the official notice China filed with the WTO, the banned types of scrap include “plastics waste from living sources, vanadium slag, unsorted waste paper, and waste textile materials.” But no further explanation was given, and there were no clear examples for exporting facilities on what they are allowed to ship and what they aren’t. The government has also announced a plan to completely ban plastic waste imports in 2019. China became the world’s main solid waste importer in the 1980s, when it needed cheap raw materials to feed its growing economy. But in recent years, the government has pointed to environmental damage caused by the trade and unwonted smuggling of illegal scraps. China hasn’t made clear exactly what it means by environmental damage. However, one of the heaviest polluted regions in China, Guiyu, a small town in the Guangdong Province, is said to take in the most electronic waste in the world. Once primarily reliant on rice-planting before 1995, the coastal village had transformed into a huge e-waste processing hub by 2013 for economic reasons. Rice no longer grew because the water and air became severely polluted from burning plastic. In 2013, officials launched the Green Fence campaign, which prohibited unsorted shipments of recyclables from overseas. In March 2017, China also launched the National Sword initiative, a project that led to detailed investigations at nine major ports known for the daily incoming cargo of foreign scrap. The United States in particular has been hit hard by the ban, thanks to a lack of domestic plastic processing facilities nationwide. There hasn’t been a new recycling plant built in the U.S. since 2003. Meanwhile, Americans throw away an average of 35 billion plastic bottles every year. Up to 40 percent of U.S. scrap exports used to go to China. What happens next? For now, your bottle and its plastic companions are going to Vietnam or Malaysia. Scrap exports from September 2017 through January 2018, compared to the same period of time in 2016, shows a 95 percent increase of scrap paper going to Vietnam, and a 138 percent increase in plastic scrap going to Malaysia. For that same period, there was a 17.8 percent drop in plastic scrap export from the United States to China. “We are working very hard with the city of San Francisco and our customers to meet China’s new standards, but after November 2017, our plastic bales have been redirected to Southeast Asia,” said Reed, who hopes that the Chinese government will relax its new regulations. Inside China, the scrap industry is also seeing fissures after the government crackdown. China’s Ministry of Environmental Protection investigated 1,800 recycling facilities last year to see if they followed environmental laws regarding imported scrap, but over half were found to be violating said laws. “These companies either went out of business or lost their import licenses temporarily,” said Adler. This also contributed to the chaos in the global scrap trade, because these licenses not only gave the facilities permission to import foreign scrap, they also determined how much each facility is allowed to import. Once taken away, the losses are huge. Even more companies were denied licenses this year, said Steve Wong, the owner of the plastic recycling company Fukutomi in Hong Kong. “The number of the first batch of import permits granted in 2018 was released at the end of December. The number is down by nearly 95 percent in comparison to last year,” said Wong. There is still no official plan on how to deal with the excess scrap piling up in places like San Francisco’s Pier 96, but recyclers are trying to identify domestic options rather than going overseas. “There are resources in the U.S. and Canada that people are starting to scout out now,” said Adler. Web site and all contents © IGU Commission for Water Sustainability, All rights reserved.